This was a big hit in the staffroom today and was just what we needed to keep us going through the craziness of working in a school as Christmas approaches! 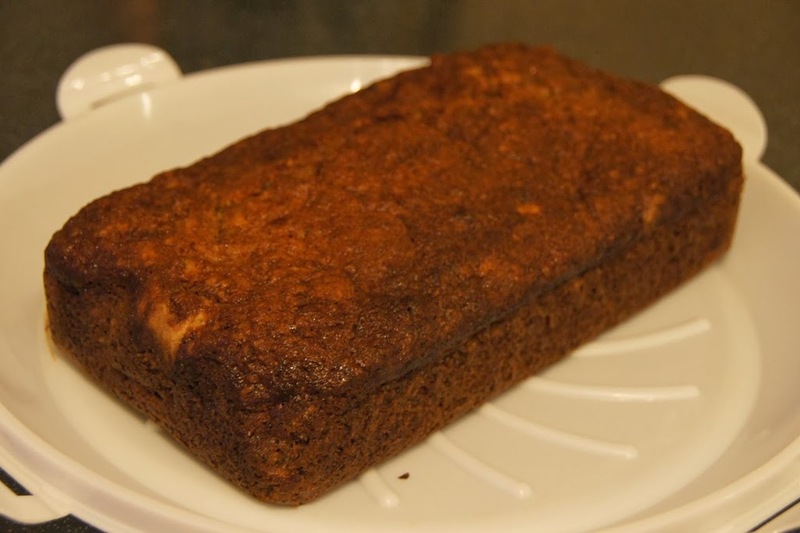 I had been given lots of bananas that were past their best so investigated a whole host of banana cake recipes. I found this one on the BBC Good Food website and thought it would make a change from traditional banana bread. It has a very moist texture and is quick and easy to make. 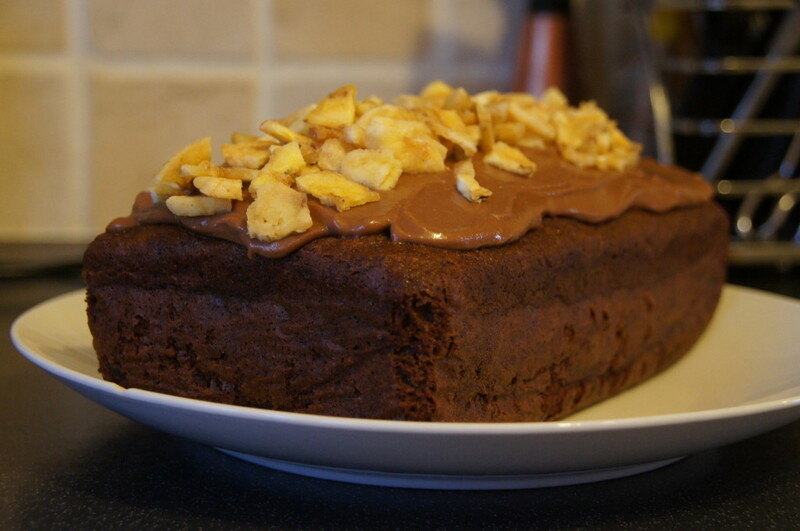 The original recipe uses chewy toffees but I had some fudge that needed using up so swapped the toffee for fudge. You can also swap the toffee yogurt for fudge yogurt depending on what you can find in the shops. I also didn’t have the exact amounts of pecans or fudge but it still worked just as well. You will need a 900g (2lb) loaf tin. Well 2013 is nearly at an end. I would like to wish all my readers a very happy new year. 2013 was the year I started writing this blog and I have really enjoyed recording all my baking adventures. I hope everyone had a lovely Christmas. I was very lucky to receive a personalised ‘Little Birdie Baking Blog’ apron from my brother and sister-in-law (thanks Ian and Steph!) as one of my presents. It has already been used to make today’s post! It has been a busy few weeks in the Little Birdie household. We moved three weeks ago and have been without the Internet until today. Upon moving in, we found the oven in our new house was possibly the worst oven in existence! A horrible, electric thing which took forever to cook anything and if it was cooked the bottom was burnt. Luckily Mr Birdie managed to find us a shiny new one for £50 (thanks to the wonders of Ebay!) My Dad visited us last weekend to help us tackle the garden (thanks Dad!) so I whipped up a banoffee pie last weekend but this cake is the first proper cake I have made in our new home. 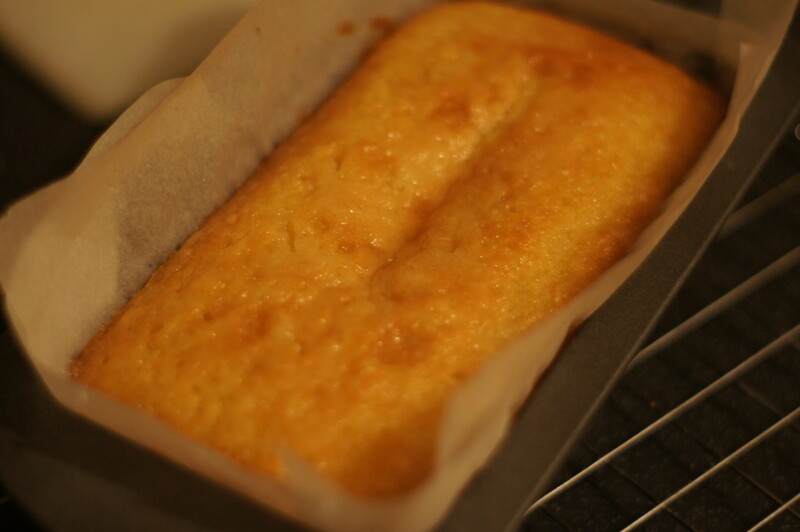 Hopefully many more baking adventures will follow. 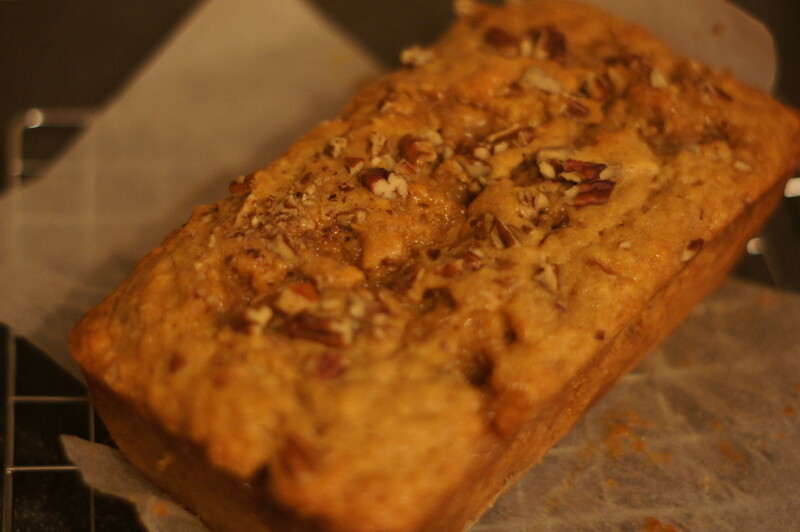 I used to make this cake a lot a few years ago as it is super easy to make and a great way to use up ripe bananas. It doesn’t look that amazing from the outside but it’s what inside that counts. 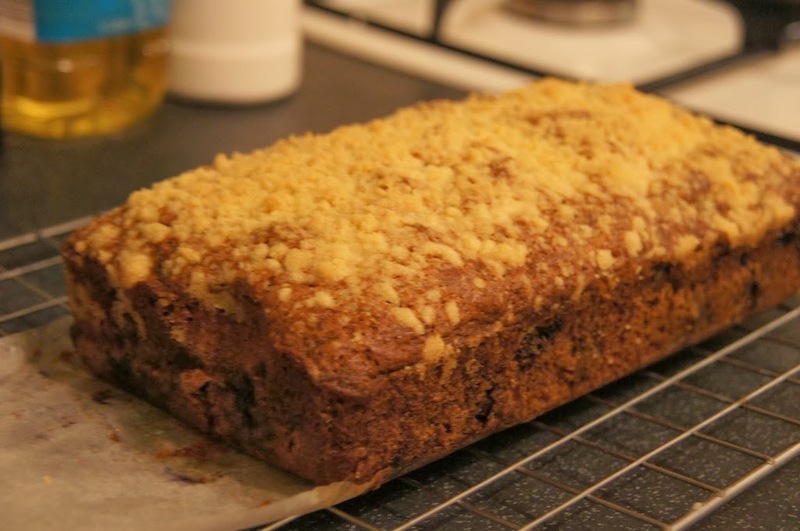 It is always well received (as proved today by the speed at which is disappeared in the staffroom at school) and it has never failed to produce a moist, banana-ery loaf that surely must be good for you as it contains fruit, nuts and wholemeal flour! The recipe is from Best Ever Baking by Carole Clements. I’m not normally one for mid-week baking but today I have been on a course so was home before 6 o’ clock (usually unheard of!) 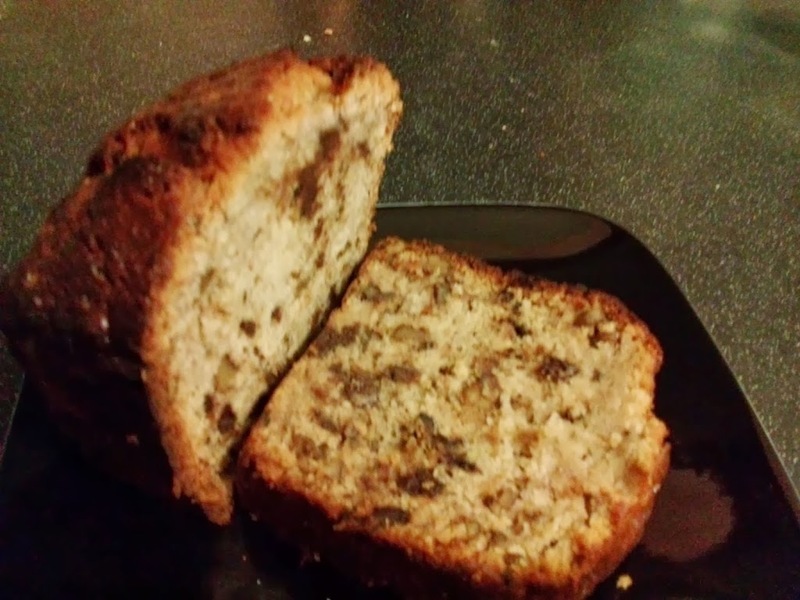 and decided it would be a good opportunity to use up some over ripe bananas. 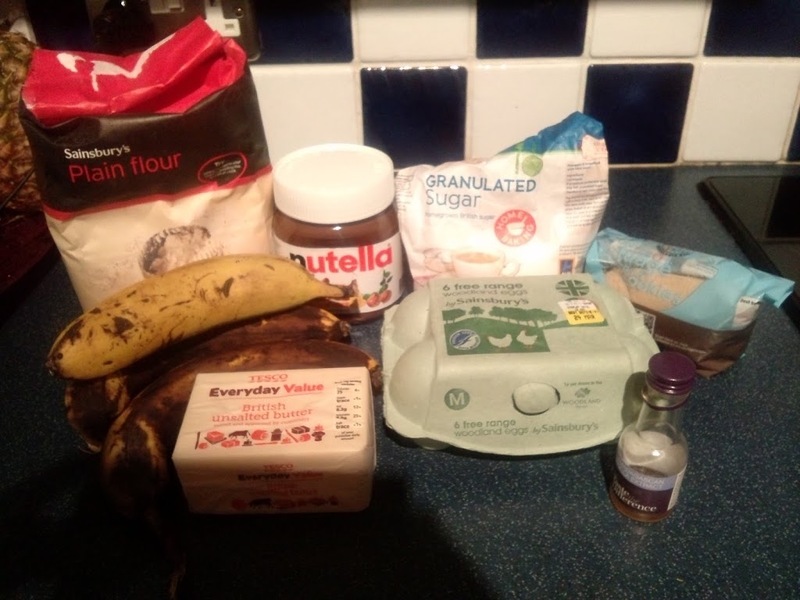 I’d seen this recipe for Nutella Swirled Banana bread and decided it would be good to give it a go.